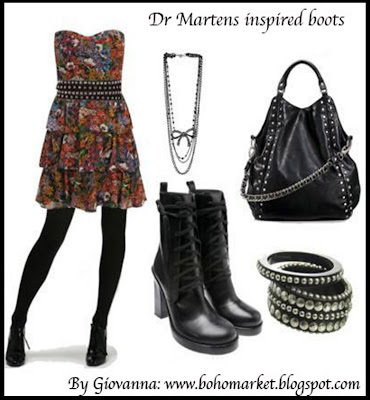 I thought that it would be cool to make a post about this fashion trend that many people love, but sometimes it gets mixed reactions, I'm talking about the classic and famous Dr. Martens' boots! 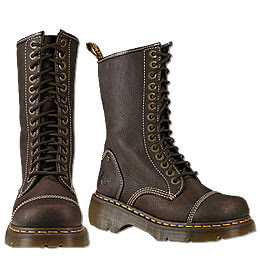 "I've been wanting some classic doc marten 8-hole boots forEVER and wondered what you thought... 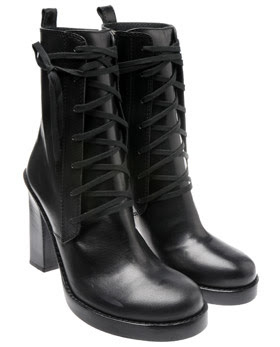 I want to wear them with dresses and stuff, or just my regular black skinnies and thick belt. is that too overdone?" Thanks J for inspiring me to make this post! I don't think your idea would look overdone, in fact I love it! So I started thinking about other possible looks to go with those boots, but this is just my point of view and personal taste. I love to create different looks and I enjoy doing it! 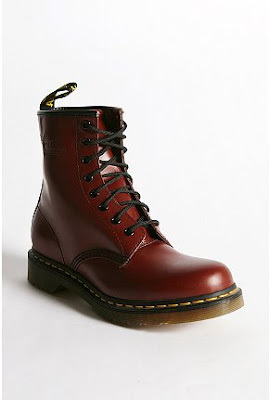 Pensé que seria divertido hacer un post acerca de esta tendencia que a mucha gente le gusta, pero a veces desata diferentes reacciones, hablo de las clásicas y no menos famosas botas Dr Martens! "Siempre he querido unas botas Dr Martens con 8 agujeros, pero me gustaría saber que opinas? Quisiera ponérmelas con vestidos y demás, o solo con mis pitillos negros y una correa gruesa, crees que sea demasiado? Gracias J por inspirarme ha hacer este post! Honestamente, no creo para nada que tu idea se vea recargada, de hecho me encantó! Por eso comence a pensar en otros posibles looks que pudieran combinar con esas botas, pero ojo, este es solo mi punto de vista y mi gusto personal. 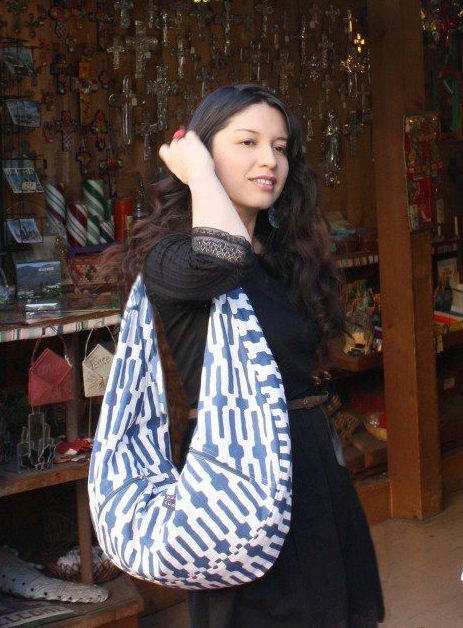 Me encanta crear diferentes looks y disfruto haciéndolo! I think the following pairs are so much fun and very creative at the same time, that's why I included them! En mi opinión, estas botas me parecieron super creativas y divertidas, por eso las incluí! Pienso que la idea de los shorts con el blazer es muy fresca y divertida. En la moda de ahora ya no hay limite para la imaginación. Oversized or loose tops look very nice with a pair of skinny or leggins. I chose Dr Martens in red to give the outfit some color. I put two options for the necklaces. studded accessories, which are really hot right now! I also put a studded belt on the dress. con tus botas inspiradas en Dr Martens y accesorios con studs, los cuales están super de moda! También combine el vestido con una correa con studs. Only three more days for the weekend, can't wait! Que les pareció? Me encantaría saber.. Ya solo faltan tres días mas para el fin de semana, no puedo esperar más!! That our boots and more more different, looks are beautiful! i love the ideas! once i get my boots, ill definitely try some of 'em out! Thank you for your sweet comments Michelle and Barbara!! J I'm glad you like the ideas!! Thanks for the inspiration!! ADORE this post! Your looks are fabulous! 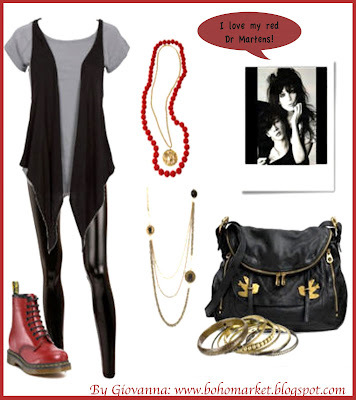 I'm so glad that docs are back in style...I still have mine from the late 80s...LOVE the red ones and all of your looks. very fab, my dear. Giovanna!!! me encantaron los 3 looks, estan buenisimos! Great new title picture... but same great song!! 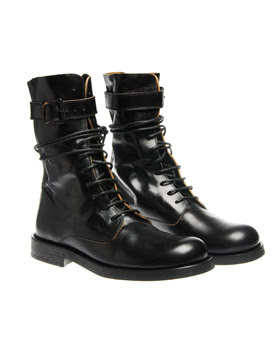 I still want Doc Martens too, they are so cool and so Sienna Miller. Wow. Those are all great looks. I always loved these boots. Most of my buddies and I had at least one pair back in the day. Me gusta como se ve cuando se usa un vestido super femenino con las botas que le dan un toque más grunge y tosco. Las Chloe son para morirse! I've never owned a pair of Doc Martens but I really wish I could wear them with short dresses and shorts! But my feet would fry in the weather I live in! Those boots are stunning and just perfect for fall. I love this post! 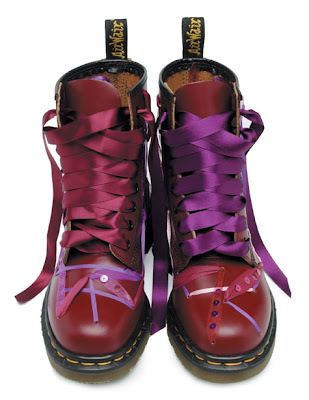 I am not the one to wear Dr Martens, but the looks you created are all great. I would probably pair them with a flowy romantic dress, I just spotted Agyness Dean wearing something like that and it looked incredible. Thank you so much everyone!! I really appreciate all your comments! I love all the looks you created! That last set is right up my alley! Gorgeous! I want the cherry 1960 originals! I love those arty boots! I still have my first pair of Doc Marten boots, a pair of really comfy navy clonkers that must be 15 years old! Love the three looks!! Stunning! 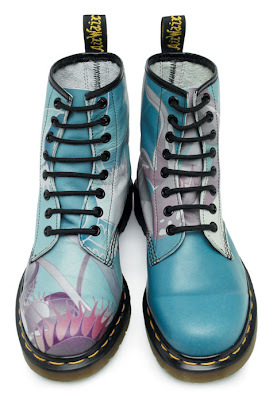 Those are nice, did you see the Jean Paul Gaultier for Dr. Martens? I think it was JPG? I have to check again, I am getting them confused perhaps. Oh I love my Dr Marteens! So cute your looks! 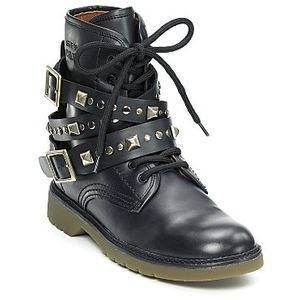 I had a pair of Doc Martens look-a-like boots when I was in college, years ago. I loved them and wore them with black tights, short skirts, long skirts, jeans, it didn't matter. I loved those shoes and wore them till they couldn't be worn any longer. I'm sure if they had been real Doc Martens I'd still have them. This is a great post. I like the looks you put together for the Doc's. Very creative indeed! must visit the site to get the update designs. 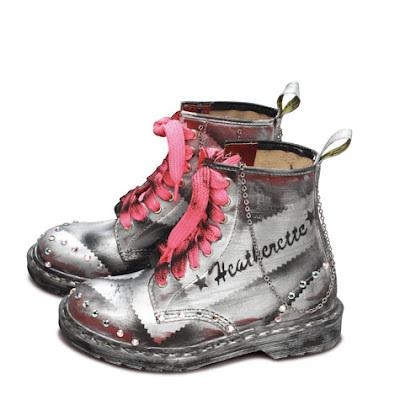 This is a very nice and informative blog...so through this blog i wanna tell about the Doc Martens Boots. Here is the new verity of hard sole and good looking boots..
u can check it also for new fashion.